Mrs. Lolyana is one of the interior consultants who has a project in the Ayodhya Apartment, BSD Tangerang. 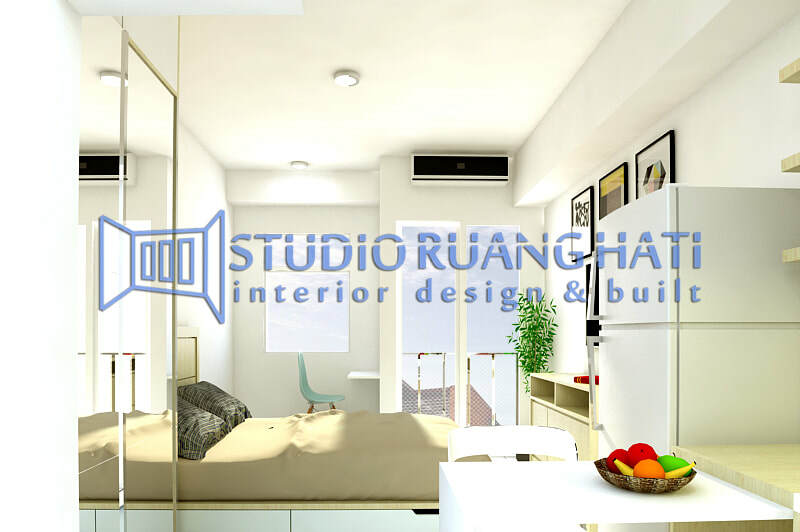 He asked our team to make a studio-style apartment design with a modern style full furnish with HPL material. 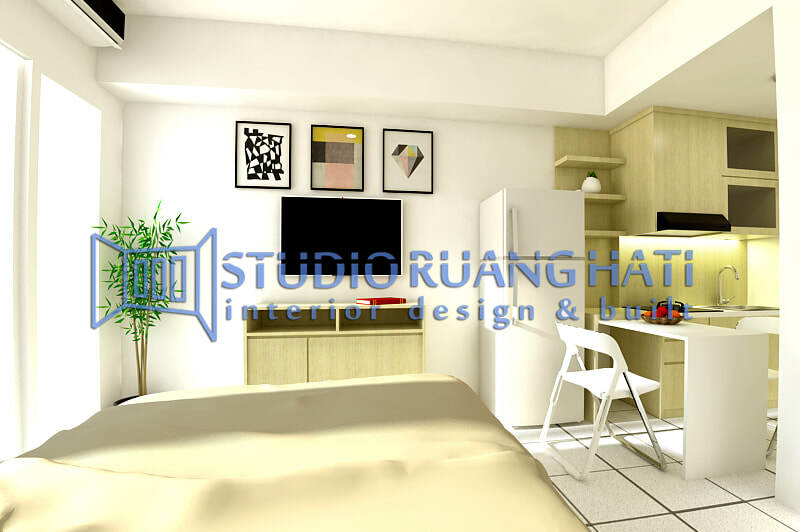 The background concept of compact and simple, a small apartment room is designed to look comfortable and hommy.